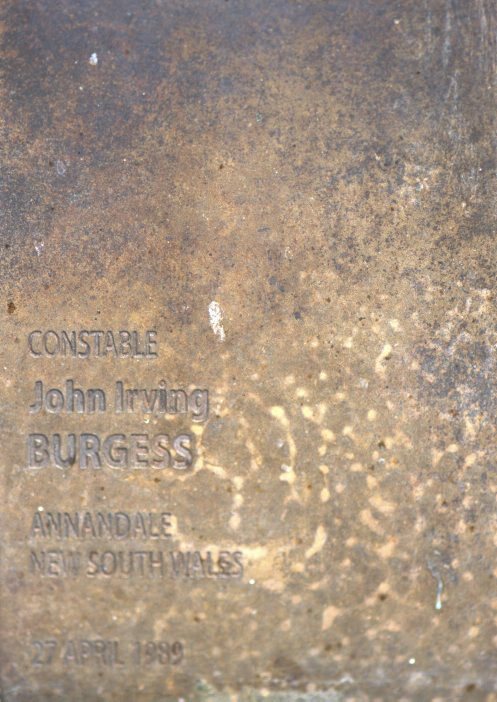 Constable John Irving BURGESS – Touch plate at National Police Wall of Remembrance, Canberra. 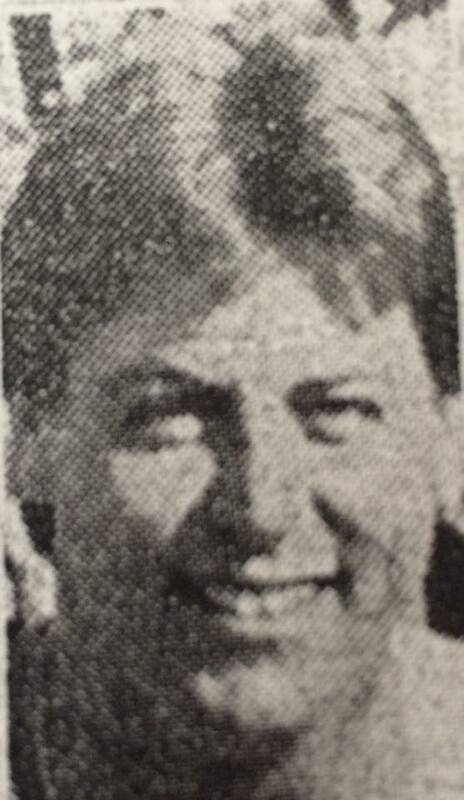 About 2.25am on 27 April, 1989 Constable Burgess was driving a caged police vehicle in Booth Street, Annandale. Constable Andrew Mortimer was observer in the vehicle and they were responding to an urgent call for assistance from Gaming Squad police. At the intersection of Johnston Street, the police vehicle collided with a semi trailer and deflected onto a power pole. As a result of the accident Constable Andrew Mortimer suffered fractures to his ribs and jaw, and Constable Burgess suffered severe head and internal injuries. Constable Burgess died two days later ( on the 29 April ) at the Royal Prince Alfred Hospital when life support systems were turned off. The constable was born in 1960 and joined the New South Wales Police Force on 28 October, 1985. At the time of his death he was stationed at Balmain. SYDNEY: A policeman who received severe injuries in a collision involving a police paddy wagon last Thursday died late on Saturday. Constable John Burgess, 29, received head and chest injuries in the accident between the paddy wagon and a refrigeration truck at Annandale in Sydney’s inner-west, shortly before 2am.